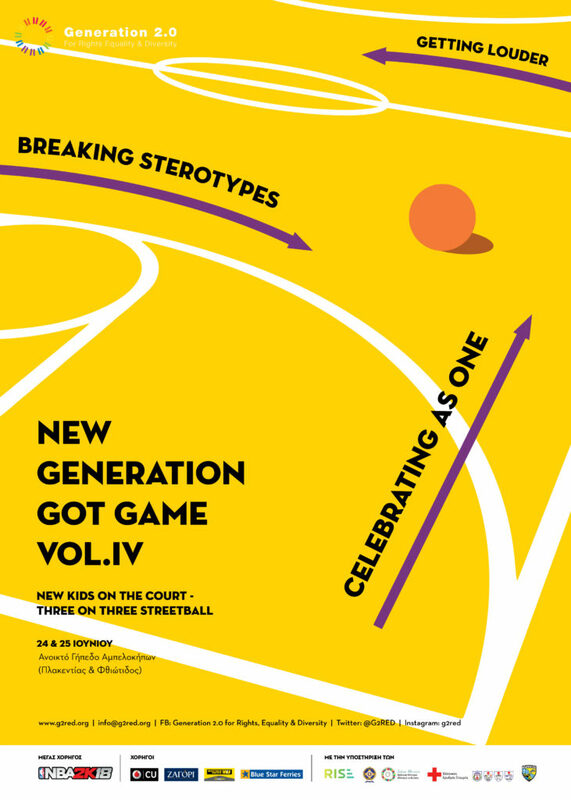 New Generation Got Game vol.IV: Bigger, stronger, loads of star players, more participants, many gifts and unique opportunities for the winners! Once more, the outdoors court of Ampelokipi (Fthiotidos & Plakentias) will host the most famous intercultural tournament of Greece on June 24 & 25. In the morning and the afternoon the court will be full of people, music, voices and passion for basketball. Young people with different backgrounds compete within fair play and share a common vision for a society that treats all its members equally. The fourth tournament promises to promote the message of equality and respect to diversity, not only in Athens but in Syros too: once again, the biggest prize for the winners of the New Generation Got Game Tournament will be a trip to Syros and participation at the AegeanBall Festival, which is organized by Giorgos Printezis, to compete with top basketball players! All the expenses of this trip, including the participation fee for the festival, will be covered by Generation 2.0 RED. Since last year, the tournament is very proud to include refugees and newly arrived immigrants, who exchange experiences with Athenians of Greek or other origin and all together take the first step towards a healthier coexistence. This year the celebration is getting bigger and there is a place for everyone, either on the basketball court or on the seats. Hurry up and register here! Find the event on Facebook here and stay tuned because there is more TBA! What is New Generation Got Game?! Click here to find out.